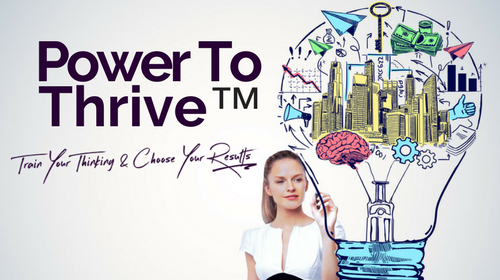 Power To Thrive™ shows you how to embody your thinking for results. Just as athletes are trained to visualize their sport and winning, you’ll learn how to think to win at living first and then as an entrepreneur. In this online training, you’ll have the ability to learn it in a couple of days or take the 8 weeks. We’ve designed it so that no matter how fast you want to digest the content, you’ll have everything you need – including weekly calls with our Ambassadors, engaging email support and lifetime access to your training. Instead of just learning the theory of thinking prolifically you’ll discover how to engage your mind to actively switch into prolific awareness and behaviour. In Power To Thrive™ we start by creating what we call the Inner Navigation Centre™. 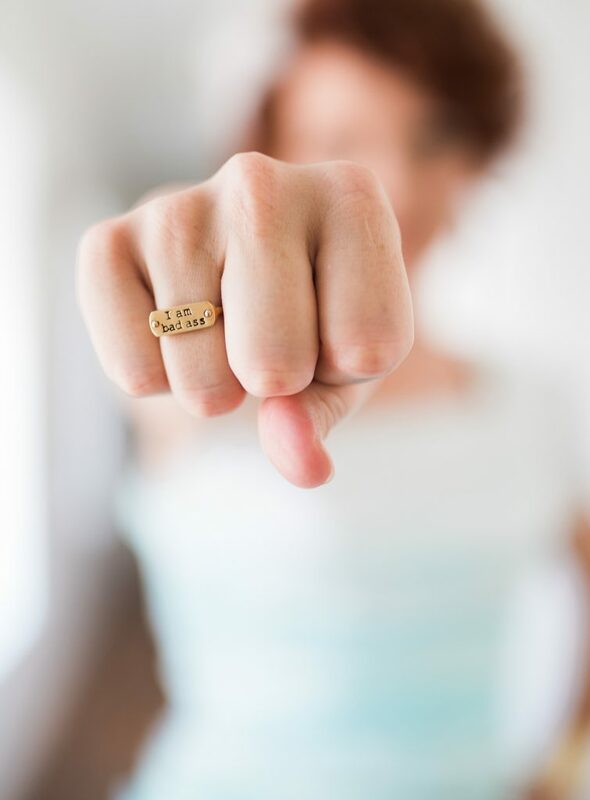 When you create your own Inner Navigation Centre™, the foundational mindset tool to power your behaviours and actions, you’ll succeed both personally and professionally. The Inner Navigation Centre™ is a construct you create deep within your imaginative centers in the brain that will help you discover how to connect to your ‘inner power’ while being able to clearly think through situations without the emotional charge that comes from fixed thinking. We’ve looked at how easy it is to revert to old patterns and old behaviours, simply because your mind and brain have the habit of ‘going there’. Learning the Inner Navigation Centre™ will allow you to shift into a new habit, one that supports your vision forward and your actions on the path you want to take. Discover that using your Inner Navigation Centre™ helps you feel connected to something that is bigger than yourself, and in so doing, you will start to understand and recognize your true potential and calling in life. Most struggle to understand their own value for this reason, but when you create this prolific mindset construct, you change your thinking, how you show up in the world and unveil the specific actions right for you to experience the freedom and calling you really want. The Inner Navigation Centre™ becomes an enjoyable daily ritual that consistently and reliably empowers you to thrive in literally every area of your life – mentally, emotionally and physiologically instead of just surviving. No matter who you are, what you have done, or what you are facing now, the Inner Navigation Centre™ allows you to have a connection to a safe and inspiring place that resides deep inside of you – that is always accessible when you have a system to connect with. Discover genuine solutions and opportunities and transform even the most seemingly complicated issues in your life. Power To Thrive™ is not just another same-old mindset course – it is an easy-to-use, totally new and unique, fun-filled and deeply satisfying empowerment structure that once learned will provide you a lifetime of confidence, happiness, and fulfillment. Imagine having the courage to stop “following the crowd” and instead, start listening and responding to that still, small voice that has been speaking to you all along, enabling you now to find the success, results and momentum you truly deserve. You’ll discover: how to truly believe in yourself, knowing that you can turn the otherwise deemed ‘impossible’ into your reality. Imagine finally understanding the capacity you have and then harnessing it daily. What ripple effect would you be creating in your family? Community? Nationally? Women are the gateway to true global change, harnessing your daily capacity empowers yourself and everyone in your circle. You’ll discover through the Inner Navigation Centre™ and your creative brain centers, that you can always quickly and easily tap into a well of strength, trust and optimism. When you learn to do so, you always have access to ‘the edge’ needed to find solutions…even when situations seem challenging or dire you’ll be able to keep going. When you learn how to use the Inner Navigation Centre™ you’ll finally have your own personal recipe to freedom. Introduction: Your Dreams Are About To Meet Real World Results…Ready? Who is this training for? What can I expect? Let’s get to know each other! Introduce Yourself! Why do we build a mental construct for success? What is a mental construct for success? How does the mental construct make a difference? 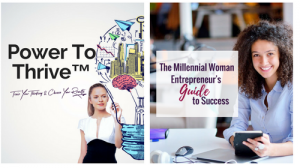 The Millennnial Woman Entrepreneur’s Guide To Success!